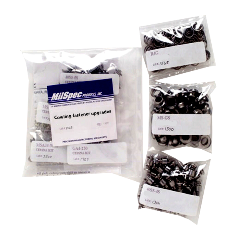 These kits will convert the original style fasteners to MilSpec's far superior C-Spec fastening system. Kits include new fasteners, grommets, and retaining rings, all in bright and shiny stainless steel. Plus, new receptacles, drill templates, alignment guides, attachment hardware and complete instruction documents with a copy of the STC for your log-books. You have the choice of Slotted Head or Phillips (cross recess) Head fasteners. Both head styles feature our proprietary materials and machining methods which insure they will not strip out or gall, even when over torqued giving you many years of unmatched service! Our slotted head studs have a unique enclosed (collared) slot which prevents the screwdriver from slipping out and damaging expensive paint. Our Phillips heads are a standard #2 size. 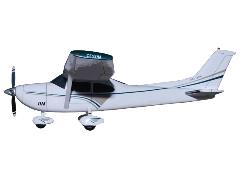 Upgrade any Cessna 150, 172, 175, 177, 180 or 182 to the new modern standard of cowling fasteners from MilSpec! 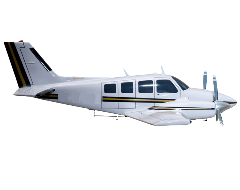 Upgrade any Beech 33, 35 or 36 aircraft to the new modern standard of cowling fasteners from MilSpec!